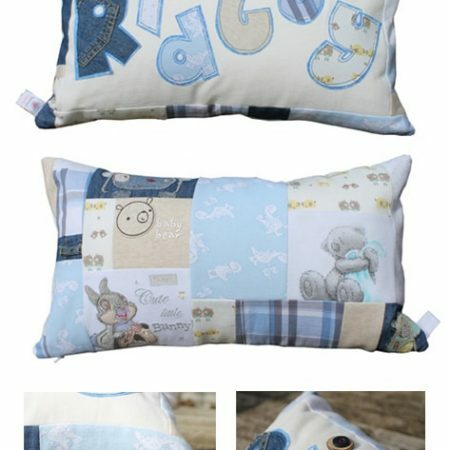 You can order via the website, by sending us a message or by phone on 07775 860862 – we’ll need to know the name to be appliqued. 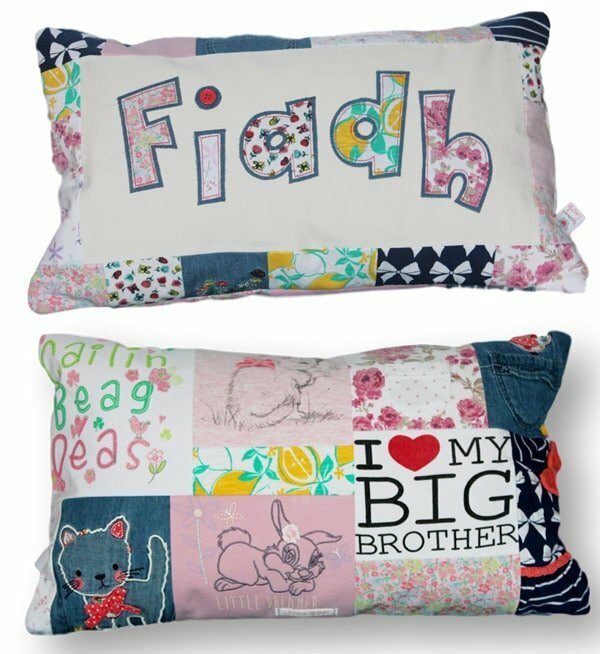 This gorgeous personalised keepsake cushion is made from those precious baby clothes, and personalised with your child’s name in hand-cut, double layered appliqué. 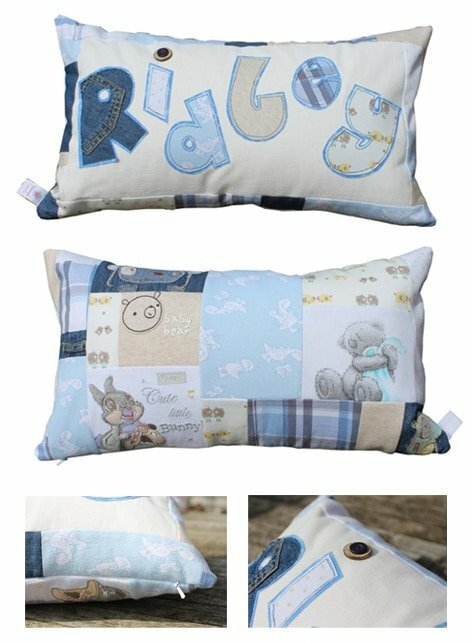 It’s a lovely way to keep those memories around. 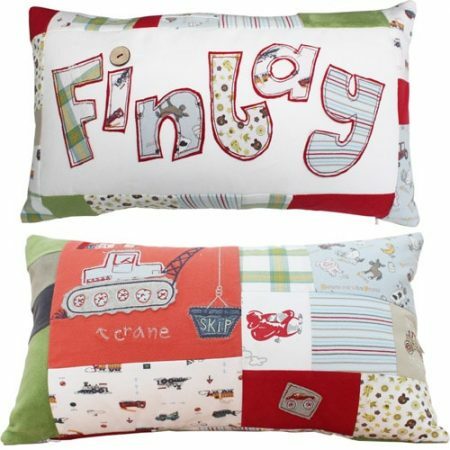 This is a lovely throw size cushion, and looks great displayed in your child’s bedroom as they grow. 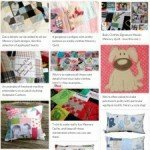 It also makes a great gift. 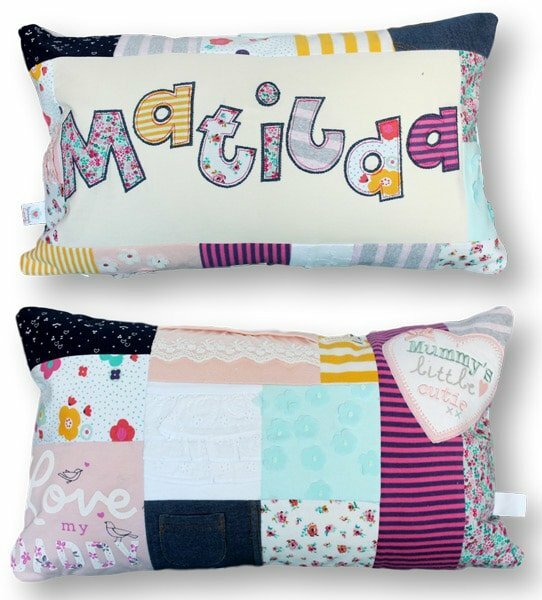 On the front of the cushion your child’s name is framed with a patchwork border, all constructed from the clothing you provide. 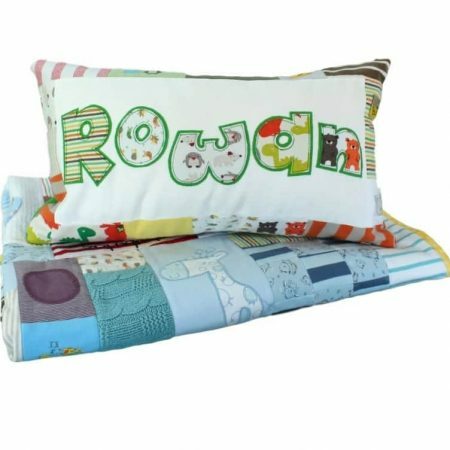 The back of the cushion is made from blocks of clothing in our Signature Mosaic patchwork style, preserving all those cute details from your child’s clothes. 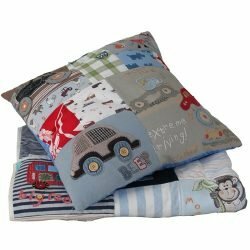 The cushion is approximately 30cm by 50cm and is supplied with a quality poly pad to minimise allergies. 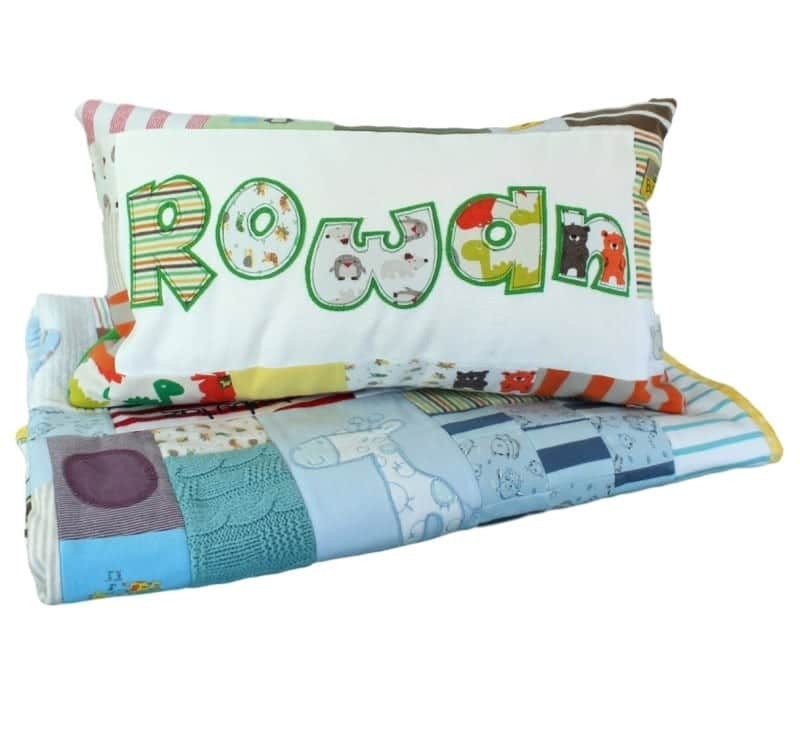 Cushions are lined and professionally finished to prevent fraying. We include a concealed zip closure for a perfect finish. 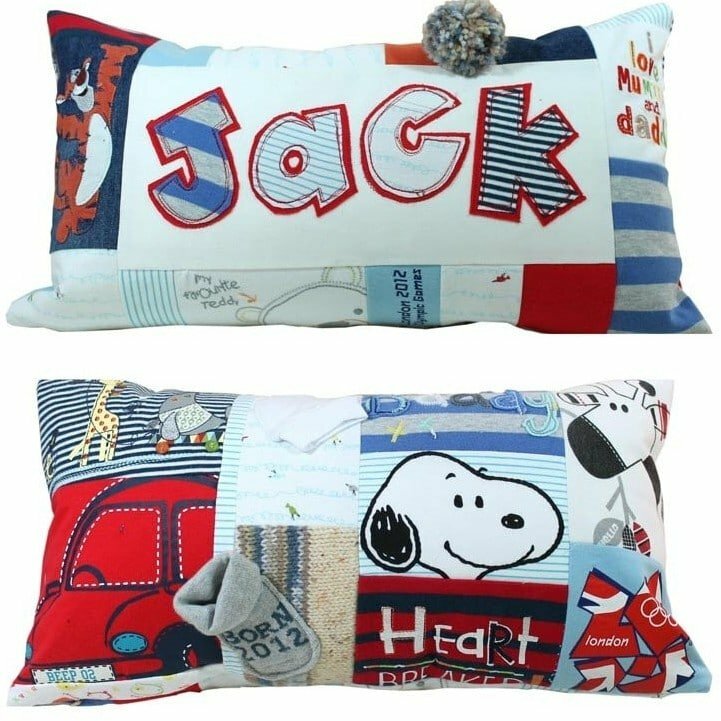 We recommend at least 6 different items of clothing for the personalised cushion to give a good variety of colour and interest to the design. 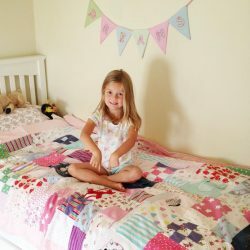 Up to 8 items can be incorporated. 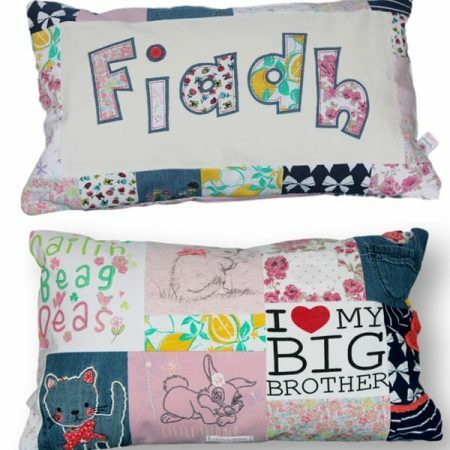 The number of larger motifs that can be accommodated is limited by the size of the cushion, so please do consider this when selecting your clothing – 2-3 motifs is often plenty. 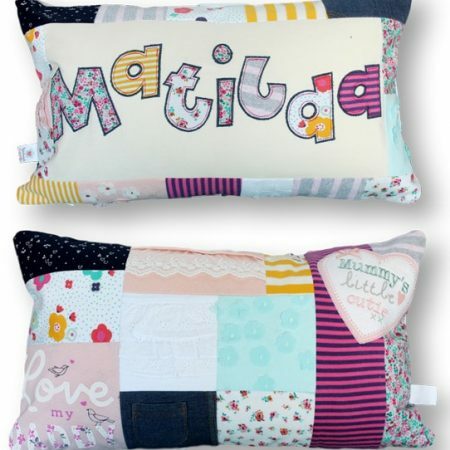 Smaller scale prints are fabulous for the lettering. 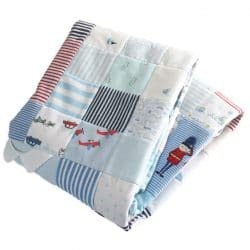 We have created several quilts and cushions as lasting memorials for families who have lost a child, so please do get in touch if we can help you in this way.